Belitung is an island located on the eastern coast of Sumatra, Indonesia. The island was made popular by Andrea Hirata's film-adapted novel Laskar Pelangi which features some of the scenic beaches of Belitung such as Tanjung Tinggi. 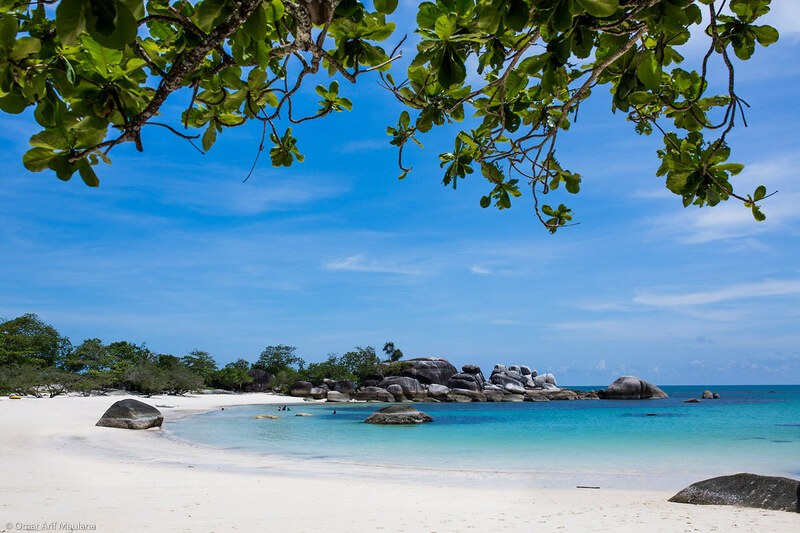 Belitung features white sand beaches, granite rocks, and clear blue-turquoise water that will take your breath away. During this trip I've only spent only one night in belitung and got to visit Tanjung Tinggi, Bukit Berahu, Tanjung Kelayar, Pulau Pasir, and Lengkuas Island. It is clear that it wasn't enough to explore and appreciate the magnificent beauty of the island, will come back here definitely someday!